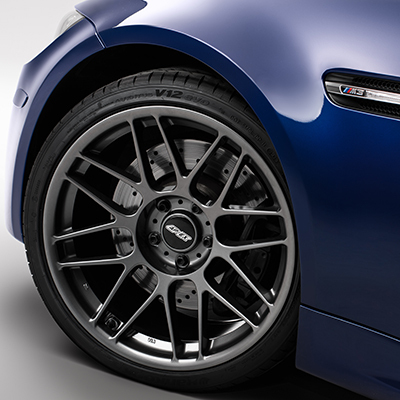 An optimized car setup begins with the perfect wheel and tire fitment. 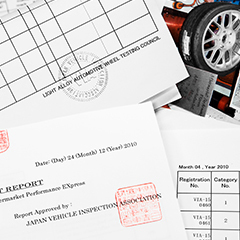 Without model-specific attention to each wheels specifications, maximum performance is compromised. Each size was selected to find the right balance between a clean fit and the most grip possible. 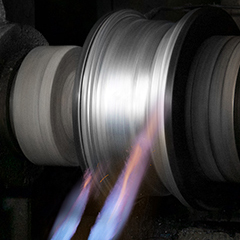 The ARC-8's wide range of widths, diameters, offsets and face profiles result in unique fitments ranging from 8.5" to 10.5" wide. 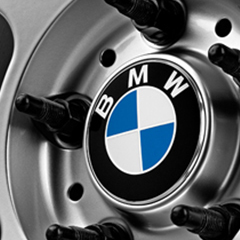 Each wheel combines these features to meet the different brake caliper, strut, and fender clearance needs of each BMW model. 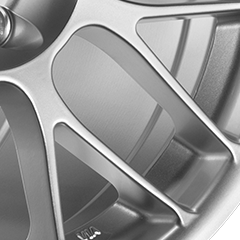 Most vehicle models have options for wheels that range from direct-fit to aggressive for specialty applications. 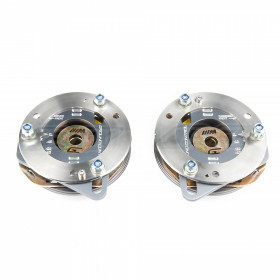 The ARC-8 wheel is available in two unique face profiles. 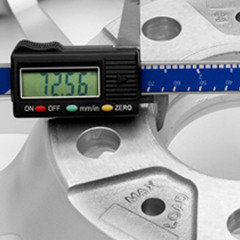 The shallower face provides increased caliper clearance on narrow applications, while the deeper concave face reduces weight and creates a stunningly aggressive appearance on low offset and wide width applications. Concavity is dependent on fitment, and not selected independently. Spoke clearance is only half the problem. The barrel construction on a wheel also needs to be big enough to clear the sides of your caliper and rotor. 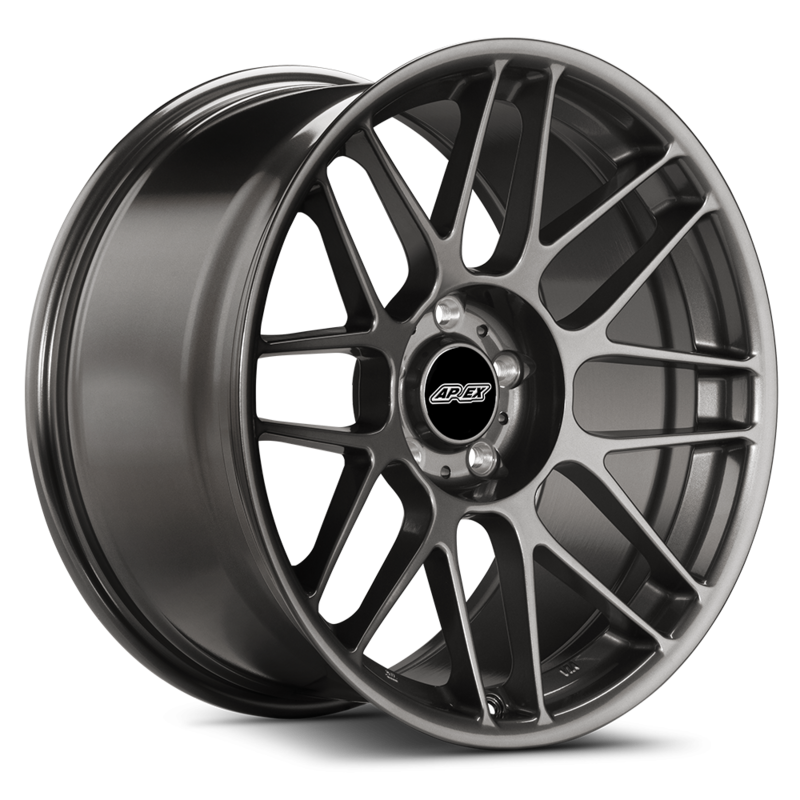 Many aftermarket wheels that have aesthetic compromises in their design may work with smaller stock brakes, or smaller diameter big brake kits, but the larger kits will pose a major problem. 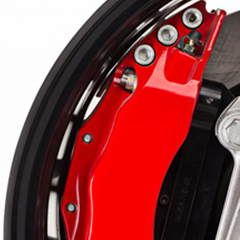 The barrel of the ARC-8 wheel offers unmatched caliper clearance because wheels shouldn’t limit your choice of aftermarket brake kits, and brake kits shouldn’t force you to run oversized wheels. 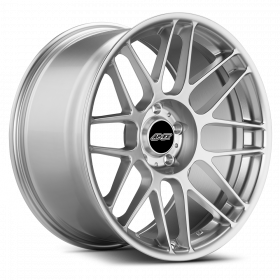 We 2D modeled most Big Brake Kits available in Solidworks and tweaked the wheel design of the ARC-8 prior to production in order to fit as many kits as possible. 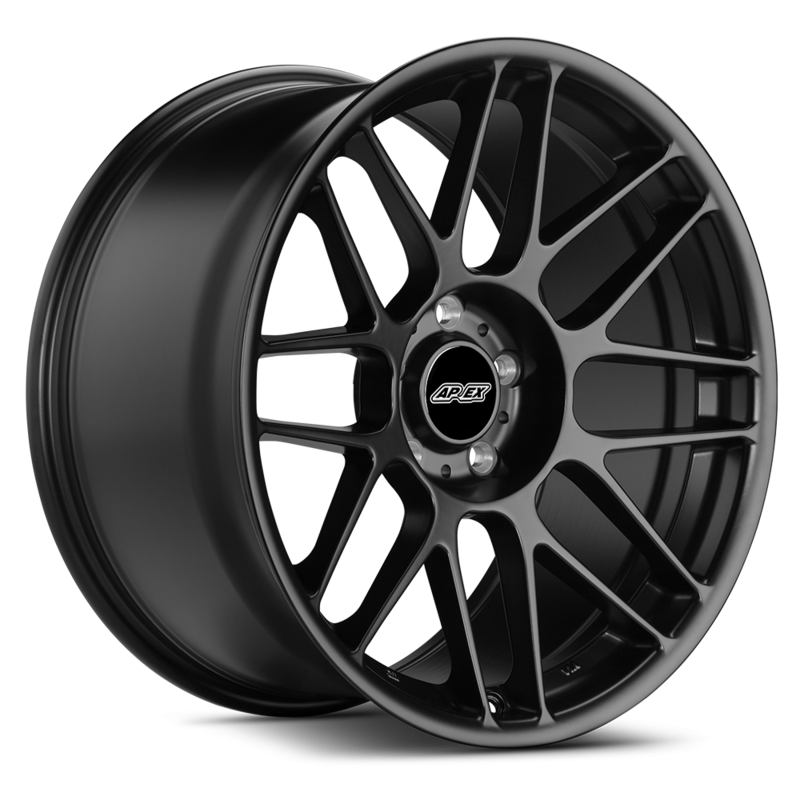 Race wheels can't just be light, they need to function in a high performance environment. Unlike the narrow lug recesses of most other wheels, the ARC-8 wheel features a wide open hub center that easily accommodates oversized race lugs and beefy impact sockets. 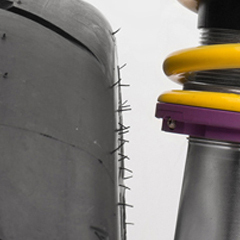 This allows for quick and easy wheel changes and prevents chips and scratches from tools. 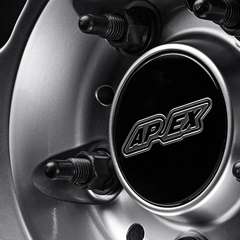 All APEX ARC-8 wheels are purpose built for select vehicle applications, and centering rings are never required for any BMW application. All 5x120mm bolt pattern wheels feature a direct-fit, 72.56mm center bore. We don't reuse one cap design for all of our wheels. 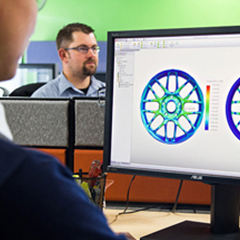 Every ARC-8 wheel is designed to work with factory center caps. You can easily replace APEX center caps with OEM roundels for a clean factory look. 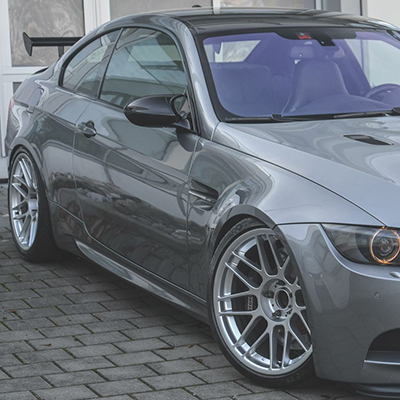 The ARC-8 wheels will ship with our Gloss Black center cap that mimics the size and shape of a BMW factory center cap. 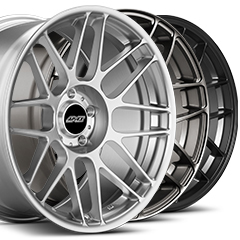 The ARC-8 wheel can be used with all OEM and aftermarket mounting hardware with a 60° tapered seat. Lug bolts, wheel locks, and stud conversion kits all work perfectly. The ARC-8 wheel also accepts wheel spacers without issue. 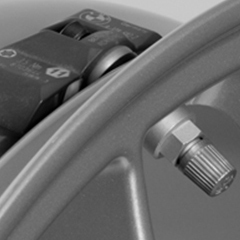 The shallow rear chamfer allows the wheel to remain hub centric even when 5mm flat spacers are used. The chamfer is deep enough to clear the chamfered lip found on some aftermarket spacers that would typically cause improper seating of the wheel and, therefore, wheel vibration. TPMS sensors, which monitor tire pressure, are one piece of technology that can't be compromised. The attention to OEM compatibility on the ARC-8 wheel doesn't end with center caps. 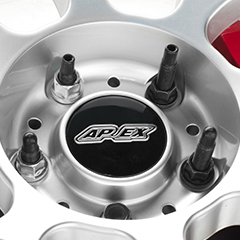 All APEX wheels accept OEM and aftermarket equivalent TPMS sensors, and any standard sized metal or rubber valve stem. We’re taking more time than ever before on this step, revising and iterating our design to reduce weight as much as possible. We’re on this step right now and we’re still shaving off a fraction of a pound at a time. After many months of BMW-specific optimizations, we’ve minimized weight while maximizing strength. 19” wheels typically have less tire protecting them from the imperfections in the road, and that calls for load ratings that are 10% above the JWL/VIA’s standard. 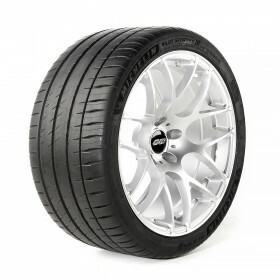 The result is a lightweight wheel with extra strength in all the right places. Use the ARC-8 with confidence on both street and track.